Social media has become a major communicational sector these days because of its huge audience. Every day, numerous people from all corners of the world are creating profiles on various platforms, such as Facebook, Twitter, Instagram, LinkedIn, Pinterest, tumblr., etc. However, some businesses take these platforms very seriously and focus on how to reach and engage more followers. They can go for online campaigns and events through call-to-action posts for convincing online users to share their content. The success of these campaigns can be demonstrated through certain types of metrics. In order to increase revenues and customer portfolio, numerous businesses adopt different marketing strategies that involve the social media and online marketing. So, is there any impact of these strategies on the company itself? How to measure the success rate of different online marketing campaigns? 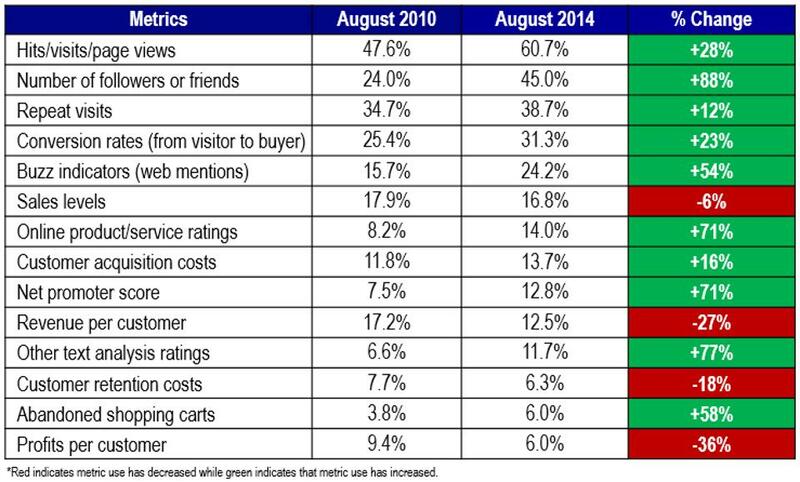 Is the social media really bringing more customers? The frequency of these metrics mostly depends on the campaign’s duration. Some companies prefer analyzing these results at the end of the campaign while others allow some more time before making the charts. Based on these metrics, they can make a comparison with the previous results for identifying which marketing campaign is efficient and which one is not. Each company has their own marketing and sales metrics to better outline their successes. Nowadays, many companies are hiring marketing specialists to work as social media managers, applying the best known online marketing strategies. When starting a campaign, the social media specialist uses only goal-driven metrics to ensure that the campaign will focus on one single goal. 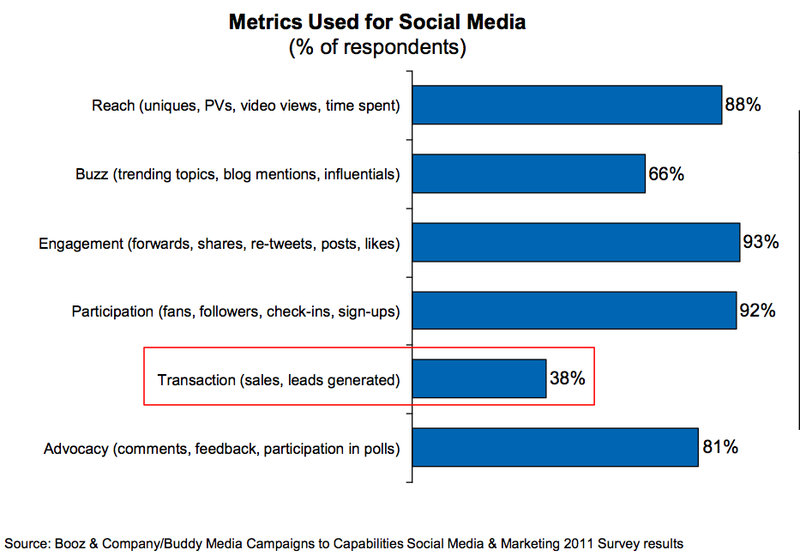 Within this type of metric, there are engagement and conversion rates. If a specialist wants to demonstrate metric validity, he needs to ensure that all the terms are defined. For instance, if the metric to be analyzed is engagement, then it needs to state if it concerns the numbers of page visits, subscribers and followers, likes, shares and so on. However, if the sales margin don’t rise during the campaign then it means it is not effective. Therefore, engagement needs to uncover and verify leading indicators, such as the sales rate, revenues per capita, profit increase or conversion rates. There is no point of spending money for online marketing just to increase followers who are not interested to purchase your product. Social media specialists can create dashboards with results to ensure that they have all the tools in hand. These can also allow them to understand which time of the day engages the most online users, which marketing campaign increases sales or which post is mostly shared by the audience. Companies can also conduct experiments and offer free products for engaging the followers to share their content. In addition to this, they can engage the audience to buy their products and leave feedbacks on their websites for receiving a discount coupon or any other kind of reward. It is important for the company to ensure that they can allocate funds to measurement, since all these metrics help realize if the marketing campaign is effective or not. As a social media specialist, you need to stick to your metrics and focus on the primary goal of your social media campaign. Even though social marketing is necessary for the growth of any businesses, online marketing campaigns can be useless if they can’t increase revenues. Therefore, aside from setting metrics, a social media specialist needs to ensure that the entire campaign has a strong call to action. The sales department can then deliver metrics regarding the sales revenues and the conversion rate. You need to ensure that your company has a strong and trustworthy image for having a huge customer base. You need to maintain a professional tone when writing announcements and news or press releases. In addition to that, while answering your followers’ queries, you must maintain a professional language regardless of the type of feedback that you would receive. Always remember that branding comes first! 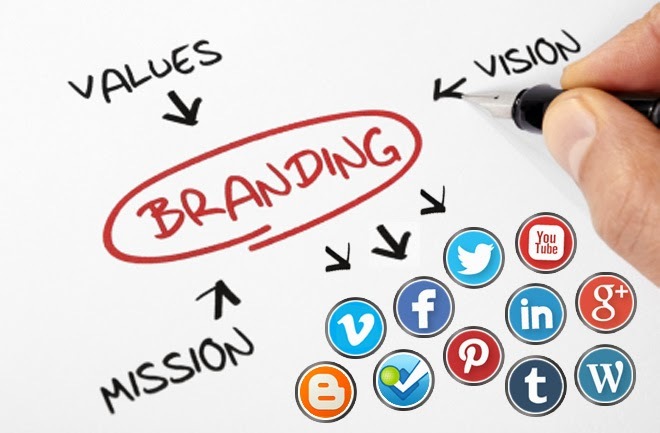 Social media marketing campaigns benefit your company in many ways. First, they increase your company’s exposure to the public; thus bringing your business closer to your potential buyers and followers. You can also gain access to more potential buyers through increased traffic; thus increasing the amount of generated leads. Once your company gains popularity with your social media page or website, you automatically receive improved search rankings and thus more sales revenues. Besides, social media marketing is much cheaper than local or TV advertising; so, it can help reduce marketing expenses significantly. Since the word of mouth advertising method is powerful, you won’t need to commit too much time to creating new marketing campaigns. Simply create a call to action and your followers will share that content further, thus reaching out more potential buyers. In this way, you will provide an marketplace insight, since people will easily come and leave a direct feedback regarding your products. This will help you focus on what’s more important, directing your funds towards improving and developing your business. When your products and services are oriented towards individual customers (B2C), you can develop marketing strategies on the social media they mostly use, such as Facebook (65%), Twitter (10%), Pinterest (4%), Google+(4%) and LinkedIn (9%). However, if you have a business to business strategy, you need to focus on the online platforms that are more relevant and that can increase your brand awareness among the business owners, such as LinkedIn (41%), Facebook (30%), Twitter (19%), YouTube (4%) and others. 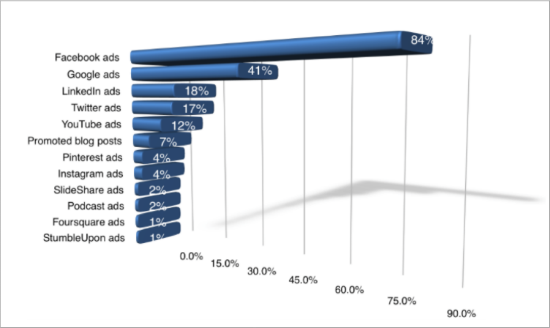 Most marketers use paid online advertisement through various platforms. 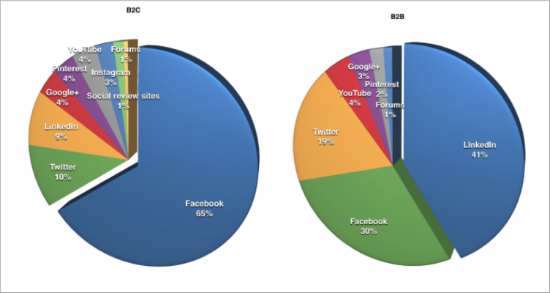 The most used platform is Facebook; followed by Google Ads and then LinkedIn, Twitter, YouTube, etc. However, different platforms use different strategies. For example, on Facebook you pay to reach a certain number of people within a limited period of time, while on Google Ads you pay for the clicks and page views you receive. After increasing your database of potential buyers through the social media, you can easily contact them to convert them from followers to buyers. You can promote special offers or new products through email marketing. It is easier since the potential buyer is already there and you don’t need to research the market further. In addition to this, email marketing is now a trend that integrates both social media and marketing, and you can convince your current followers to check your offers. Fake news – one of the major concerns in the social media is the appearance of fake news. Google and Facebook are now implementing new methods for reporting fake news, so the websites won’t be able to increase traffic based on lies. Social sales and customer service – your clients can now reach your company easily. Sales representatives can easily provide more details regarding the current offers and prices, while customer service can get in touch with people without the need of completing a form or calling. 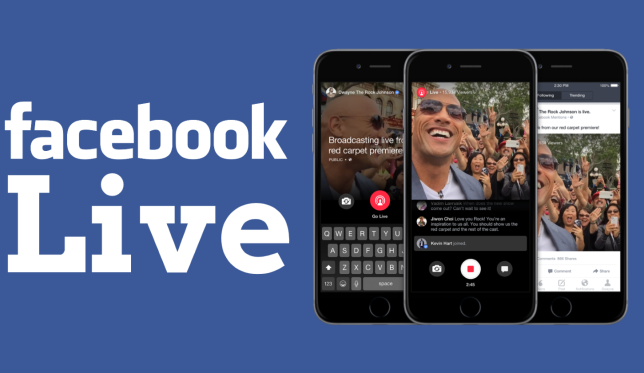 Live video – you can engage your followers directly through live videos, showing them the process of delivering a product or service, or even your headquarters or an event. Artificial Intelligence – even though many companies already have an IVR for offering automated customer service, it is expected that artificial intelligence will change the game in 2017. After all, people enjoy talking to robots that can process their requests and answer their questions in no time. 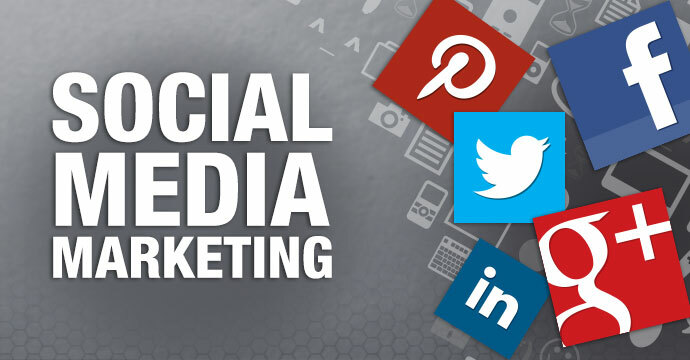 Increase in paid social media advertising – numerous companies from all around the world are now more interested to advertise online than offline for reaching a larger audience and increasing sales. That’s why, they are investing more in paid social media marketing. Even though you may think that the social media is the best way to reach your potential customers, you need to be aware of the drawbacks that social media marketing may have. Customers have the ultimate power without whom your business would not exist. They also have freedom of speech which cannot be censored. Therefore, negative publicity can hamper your brand’s image. Tracking of harmful, negative and misleading statements needs to be done at all times for a better understanding of the customers’ feedbacks. Plus, it can get hard when you want to track a feedback from a newly created social media account. You may need to carry the burden of the marketing shift, so be ready for social media changes and trends. Another thing to take into consideration is the unauthorized employees that may speak on your company’s behalf. Limit their access and insist on having a social media specialist that will keep contact with the audience in a professional manner. Overall, the social media can help improve a company’s image by opening new sales opportunities and leads. However, it is important to keep in mind that online marketing can bring both benefits and disadvantages, so make sure to establish a strong and effective social media plan for your future campaigns.